The Darwin VAAC reported that during 10-11 and 15-16 April ash plumes from Tengger Caldera’s Bromo cone rose to an altitude of 3 km (10,000 ft) a.s.l. and drifted in multiple directions, based on webcam images and satellite data. The Alert Level remained at 2 (on a scale of 1-4), and visitors were warned to stay outside of a 1-km radius of the crater. Activity at the Bromo cone of Tengger Caldera during April 2011 to early October 2012 was characterized by ongoing seismicity and an eruption during April-June 2011 (BGVN 37:10). No activity was reported in late 2012 or throughout 2013 by the observatory, Pusat Vulkanologi dan Mitigasi Bencana Geologi (PVMBG, also known as CVGHM). White emissions were noted by PVMBG during a short period in 2014, and one day of thermal alerts were identified by MODVOLC and MIROVA, using MODIS satellite data. White emissions were also observed during most of 2015. An eruption began in November 2015 and continued for about a year; the last report of ash came from the Darwin Volcanic Ash Advisory Centre (VAAC) on 12 November 2016. Information in this report comes from Darwin VAAC satellite observations (plume identification, altitude, and drift direction); infrared MODIS satellite data (processed by MODVOLC and MIROVA); and PVMBG and/or Badan Nacional Penanggulangan Bencana (BNPB) (geophysical measurements, field observations, Alert Levels). Tengger caldera is a 16-km-wide feature found at N end of volcanic massif extending from the active Semeru volcano. A sketch map of the caldera from 1844 is essentially identical to the current morphology of the cones (figure 7). Figure 7. The sketch (top) is a 19th century map of Tengger Caldera showing several volcanoes within the caldera (Junghuhn, 1844). The satellite image (bottom) acquired in September 2013 (Google Earth) shows that the morphology of the caldera is largely unchanged. Activity slightly increased for a short period in 2014. PVMBG reported that during 1-30 April diffuse white plumes rose 50 m above the crater rim. Seismicity increased during 15-30 April. From 1 to 4 May seismicity again increased and denser white plumes rose as high as 250 m. On 4 May the Alert Level was raised to 2 (the second highest level on a scale of 1-4). Residents and visitors were warned not to approach the crater within a radius of 1 km. Later that year, on 22 October, an alert characterized by a three-pixel thermal anomaly was issued by MODVOLC. Non-eruptive activity during 2014-2015. PVMBG reported that during mid-April through mid-July 2015 white plumes continued to rise at most 100 m above the crater rim. A sulfur dioxide odor was noted at the Bromo observation post. Seismicity was dominated by tremor, but also included volcanic earthquakes. Two thermally elevated pixels triggered a MODVOLC alert during 17-18 September and a five-pixel alert was issued for 25 October. During 1 August-4 December 2015 white plumes rose as high as 150 m above the crater rim, and an intense sulfur dioxide odor was noted at the Bromo observation post. Seismicity was dominated by tremor, but also included deep and shallow volcanic earthquakes; RSAM values increased at the beginning of November, and then sharply increased in the beginning of December. Based on seismic analysis, visual observations, and hazard potential, the Alert Level was raised to 3 (on a scale of 1-4) on 4 December. Residents and visitors were warned not to approach the crater within a radius of 2.5 km. Eruptive activity during 2015-2016. On 5, 8, and 12 November 2015 booming noises were reported and emissions rose 1.2 km above the crater; small amounts of ash were present in the emissions on 12 November. On 15, 23, and 27 November dense ash plumes rose 150 m above the crater rim. Based on information from PVMBG and satellite images, the Darwin VAAC reported that during 5 and 7-15 December ash plumes rose to an altitude of 3 km and drifted 55-185 km in almost all directions. On 15 December BNPB reported that activity remained high; gray-brown ash plumes rose 1.5 km above the crater and drifted W and NW. Weak rumbling was noted. According to a news article, ash emitted on that same day caused the Abdul Rachman Saleh Airport (26 km W) in Malang to close. BNPB reported ash plumes rising from the cone on 16 December 2015. The Darwin VAAC reported that during 17-19, and 21-31 December ash plumes rose to altitudes of 3-4.2 km and drifted as far as 95 km W, NW, N, E, and SE. Ash emissions were regularly observed during 1 January-12 November 2016 by both the Darwin VAAC and PVMBG observers. Ash-plume altitudes fluctuated between 2.7 and 4.2 km, or 0.4-1.9 km above the crater rim; plumes drifted in multiple directions as far as 205 km (figure 8). PVMBG reported that during 14-22 January brownish gray plumes rose as high as 1.8 km above the crater. Two low-power thermal anomalies were reported by MIROVA, one in mid-January and one later in the month. On 26 February the Alert Level was lowered to 2. On 18 April one low-power thermal anomaly was identified. Figure 8. Photo of a man watching an ash plume rising from the Bromo cone in Tengger Caldera on 5 January 2016. Courtesy of Reuters/Darren Whiteside. Ash plumes occasionally affected surrounding populated areas. BNPB reported that the Abdul Rachman Saleh Airport in Malang (26 km W) closed from 2300 on 11 July 2016 to 0900 on 12 July due to thin ash deposits around the airport. BNPB reported that the same airport closed again due to ash from 2307 on 15 July to 0900 on 16 July; six flights were diverted and two were cancelled. Minor amounts of ash fell in the communities of Probolinggo (35 km NE) and Lumajang (36 km SW). PVMBG reported that during 1 June-25 September 2016 brownish gray plumes rose as high as 1.2 km above the crater. A sulfur odor was noted at the Bromo observation post, thunderous noises sometimes vibrated the post doors, and occasionally crater incandescence was observed. The deformation network measured inflation. On 26 September the Alert Level was raised to 3 (on a scale of 1-4); residents and visitors were reminded not to approach the crater within a radius of 2.5 km. PVMBG reported that during 1-20 October brownish, reddish, and grayish gray plumes rose as high as 900 m above the crater and drifted E, NW, W, and SW. Seismic activity was dominated by constant tremor although the amplitude decreased. On 20 October the Alert Level was lowered to 2 (on a scale of 1-4). Seismic data for 1 January-20 October 2016 (figure 9) included RSAM values for seismically detected eruptions (Letusan), emissions (Hembusan), shallow volcanic signals (VB), deep volcanic signals (VA), and local (TL) and distant (TJ) tectonic earthquakes. Sulfur dioxide emissions fluctuated between about 100 and 450 tonnes/day (t/d) during 17 July-5 October 2016 (figure 10). Measurements were often hampered by fog. For comparison, previous measurements of sulfur dioxide emissions occurred in October 2005, March 2007, December 2008, and December 2009. Figure 9. RSAM values for seismically detected eruptions (Letusan), emissions (Hembusan), shallow volcanic signals (VB), deep volcanic signals (VA), and local (TL) and far (TJ) tectonic earthquakes cover the period during 1 January-20 October 2016. Figure 10. Sulfur dioxide emissions in tons/day from 1 October 2005 to 2 November 2016 (top) and an expanded view from 17 July to 24 September 2016 (bottom). Courtesy of PVMBG. References: Junghuhn, Franz Wilhelm, 1844, Java, seine Gestalt, Pflanzendecke und innere Bauart, 2. Band (Java , its shape , plant cover and interior design , 2. Band, Tengger Mountains), recorded by Franz Wilhelm Junghuhn. From Wikipedia (URL: https://nl.wikipedia.org/wiki/Franz_Junghuhn). Information Contacts: Pusat Vulkanologi dan Mitigasi Bencana Geologi (PVMBG, also known as Indonesian Center for Volcanology and Geological Hazard Mitigation, CVGHM), Jalan Diponegoro 57, Bandung 40122, Indonesia (URL: http://www.vsi.esdm.go.id/); Darwin Volcanic Ash Advisory Centre (VAAC), Bureau of Meteorology, Northern Territory Regional Office, PO Box 40050, Casuarina, NT 0811, Australia (URL: http://www.bom.gov.au/info/vaac/); Badan Nasional Penanggulangan Bencana (BNPB), National Disaster Management Agency, Graha BNPB - Jl. Scout Kav.38, East Jakarta 13120, Indonesia (URL: http://www.bnpb.go.id/); MIROVA (Middle InfraRed Observation of Volcanic Activity), a collaborative project between the Universities of Turin and Florence (Italy) supported by the Centre for Volcanic Risk of the Italian Civil Protection Department (URL: http://www.mirovaweb.it/); Hawai'i Institute of Geophysics and Planetology (HIGP), MODVOLC Thermal Alerts System, School of Ocean and Earth Science and Technology (SOEST), Univ. of Hawai'i, 2525 Correa Road, Honolulu, HI 96822, USA (URL: http://modis.higp.hawaii.edu/, http://modis.higp.hawaii.edu/); Reuters (URL: https://en.tempo.co/read/news/2016/01/26/055739393/Mount-Bromo-Erupting-Lava). The Darwin VAAC reported that during 27-28 March ash plumes from Tengger Caldera’s Bromo cone rose to altitudes of 3.4-4 km (11,000-13,000 ft) a.s.l. and drifted W, NW, N, and NE, based on webcam images, satellite data, and notices from PVMBG. The Alert Level remained at 2 (on a scale of 1-4), and visitors were warned to stay outside of a 1-km radius of the crater. PVMBG reported that during 19-26 March ash plumes of variable densities and colors ranging from white to black rose as high as 1.2 km above the crater rim of Tengger Caldera’s Bromo cone. The ash plumes drifted in multiple directions. The Alert Level remained at 2 (on a scale of 1-4), and visitors were warned to stay outside of a 1-km radius of the crater. PVMBG reported that at 0600 on 18 February an eruption at Tengger Caldera’s Bromo cone generated a dense white-and-brown ash plume that rose 600 m and drifted WSW. The Alert Level remained at 2 (on a scale of 1-4). Based on analyses of satellite and webcam images and information from PVMBG, the Darwin VAAC reported that during 10-12 November ash plumes from Tengger Caldera’s Bromo cone rose to an altitude of 3 km (10,000 ft) a.s.l. and drifted NW, E, and SE. PVMBG reported that during 1-20 October brownish, reddish, and grayish gray plumes from Tengger Caldera's Bromo cone rose as high as 900 m above the crater and drifted E, NW, W, and SW. Seismic activity was dominated by constant tremor although the amplitude decreased. On 20 October the Alert Level was lowered to 2 (on a scale of 1-4); residents and visitors were reminded not to approach the crater within a radius of 1 km. Based on analyses of satellite images, the Darwin VAAC reported that during 5-6 October ash plumes from Tengger Caldera’s Bromo cone rose to an altitude of 2.7 km (9,000 ft) a.s.l. and drifted almost 40 km SW and W. On 7 October PVMBG reported that activity at Bromo cone remained high. Grayish-white and blackish-brown plumes rose 100-300 m above the crater rim and drifted NW. Based on analyses of satellite images and information from PVMBG, the Darwin VAAC reported that during 27-31 July and 1 August ash plumes from Tengger Caldera’s Bromo cone rose to an altitude of 3 km (10,000 ft) a.s.l. and drifted as far as 55 km NW, W, and SW.
Based on analyses of satellite images, the Darwin VAAC reported that during 23-24 July ash plumes from Tengger Caldera's Bromo cone rose to an altitude of 3 km (10,000 ft) a.s.l. and drifted over 45 km NW and W.
Based on satellite images, wind data, and information from PVMBG, the Darwin VAAC reported that during 13-16 and 19 July ash plumes from Tengger Caldera's Bromo cone rose to altitudes of 2.1-3.3 km (7,000-11,000 ft) a.s.l. and drifted over 45 km NW, SW, and SE. BNPB reported that the Abdul Rachman Saleh Airport in Malang (26 km W) closed again due to ash, from 2307 on 15 July to 0900 on 16 July; six flights were diverted and two were cancelled. Minor amounts of ash fell in the communities of Probolinggo (35 km NE) and Lumajang (36 km SW). The Alert Level remained at 2 (on a scale of 1-4); residents and visitors were reminded not to approach the crater within a radius of 1 km. Based on satellite images and model data, the Darwin VAAC reported that during 24-28 June ash plumes from Tengger Caldera's Bromo cone rose to an altitude of 3 km (10,000 ft) a.s.l. and drifted 55 km SW and W.
Based on satellite images, wind data, and information from PVMBG, the Darwin VAAC reported that during 1-3 June ash plumes from Tengger Caldera's Bromo cone rose to an altitude of 3 km (10,000 ft) a.s.l. and drifted as far as 65 km N and NW. Based on satellite images and wind data, the Darwin VAAC reported that during 27-28 April ash plumes from Tengger Caldera's Bromo cone rose to altitudes of 3-3.6 km (10,000-12,000 ft) a.s.l. and drifted NW, W, SW, and SE. Based on satellite images and wind data, the Darwin VAAC reported that on 20 April ash plumes from Tengger Caldera's Bromo cone rose to an altitude of 3 km (10,000 ft) a.s.l. and drifted S and almost 20 km NW. On 26 April another ash plume rose to the same altitude and drifted W.
Based on satellite images, wind data, and ground reports from PVMBG, the Darwin VAAC reported that during 13 and 17-18 April ash plumes from Tengger Caldera's Bromo cone rose to altitudes of 3-3.3 km (10,000-11,000 ft) a.s.l. and drifted W, NE, and E.
Based on satellite images, wind data, and ground reports from PVMBG, the Darwin VAAC reported that during 2-5 April ash plumes from Tengger Caldera's Bromo cone rose to altitudes of 2.1-3.6 km (7,000-12,000 ft) a.s.l. and drifted 25-45 km SW and W.
Based on satellite images, wind data, ground reports, and information from PVMBG, the Darwin VAAC reported that during 17-23 February ash plumes from Tengger Caldera's Bromo cone rose to an altitude of 3 km (10,000 ft) a.s.l. and drifted at most 55 km NW, ESE, and SE. Based on satellite images and wind data, the Darwin VAAC reported that during 10-16 February ash plumes from Tengger Caldera's Bromo cone rose to an altitude of 3 km (10,000 ft) a.s.l. and drifted in multiple directions. Based on satellite images and wind data, the Darwin VAAC reported that on 6 and 9 February ash plumes rose to an altitude of 3 km (10,000 ft) a.s.l. and drifted 35-45 km NE and W.
Based on information from PVMBG, satellite images, and wind data, the Darwin VAAC reported that during 27-30 January ash plumes rose to an altitude of 3.9 km (13,000 ft) a.s.l. and drifted 25-65 NE, ENE, and E.
PVMBG reported that during 14-22 January brownish gray plumes from Tengger Caldera's Bromo cone rose as high as 1.8 km above the crater. Seismicity fluctuated; the number of explosion signals increased and some shallow and deep volcanic earthquakes were recorded. The Alert Level remained at 3 (on a scale of 1-4); residents and visitors were reminded not to approach the crater within a radius of 2.5 km. Based on information from PVMBG and satellite images, the Darwin VAAC reported that during 23 and 25-26 January ash plumes rose to altitudes of 3.6-3.9 km (12,000-13,000 ft) a.s.l. and drifted ENE, E, and SE. Based on satellite and webcam images, the Darwin VAAC reported that during 13-19 January ash plumes from Tengger Caldera's Bromo cone rose to an altitude of 3.6-4.2 km (12,000-14,000 ft) a.s.l. and drifted 15-160 km NW, W, SW, and S.
Based on satellite and webcam images, the Darwin VAAC reported that during 6-12 January ash plumes from Tengger Caldera's Bromo cone rose to an altitude of 3.6 km (12,000 ft) a.s.l. and drifted 30-165 km in multiple directions. Based on satellite and webcam images, the Darwin VAAC reported that during 30 December-5 January ash plumes from Tengger Caldera's Bromo cone rose to altitudes of 3.6-4.2 km (12,000-14,000 ft) a.s.l. and drifted 15-110 km in multiple directions. Based on satellite and webcam images, the Darwin VAAC reported that during 23-29 December ash plumes from Tengger Caldera's Bromo cone rose to altitudes of 3.6-4.2 km (12,000-14,000 ft) a.s.l. and drifted 45-205 km N, NNE, NE, E, and SE. According to a news article, ash from Tengger Caldera's Bromo cone emitted on 15 December caused the Abdul Rachman Saleh Airport in Malang to close. On 16 December BNPB reported that ash plumes continued to rise from the cone. Based on satellite and webcam images, the Darwin VAAC reported that during 15, 17-19, and 21-22 December ash plumes rose to altitudes of 3-3.6 km (10,000-12,000 ft) a.s.l. and drifted 25-95 km W, NW, N, E, and SE. Based on satellite and webcam images, the Darwin VAAC reported that during 9-15 December ash plumes from Tengger Caldera's Bromo cone rose to an altitude of 3 km (10,000 ft) a.s.l. and drifted 45-65 km NE, NW, W, and SW. On 15 December BNPB reported that activity at the volcano remained high; gray-brown ash plumes rose 1.5 km above the crater and drifted W and NW. Weak rumbling was noted. PVMBG reported that during 15 November-4 December white plumes from Tengger Caldera's Bromo cone rose as high as 150 m above the crater, and an intense sulfur dioxide odor was noted at the Bromo observation post. On 15, 23, and 27 November dense ash plumes rose 150 m above the crater rim. RSAM values increased at the beginning of November, and then sharply increased in the beginning of December. Based on seismic analysis, visual observations, and hazard potential, the Alert Level was raised to 3 (on a scale of 1-4) on 4 December. Residents and visitors were warned not to approach the crater within a radius of 2.5 km. Based on information from PVMBG and satellite images, the Darwin VAAC reported that during 5 and 7-8 December ash plumes rose to an altitude of 3 km (10,000 ft) a.s.l. and drifted 55-185 km W, SW, S, and SE. PVMBG reported that during 1 August-16 November white plumes from Tengger Caldera's Bromo cone rose as high as 150 m above the crater, and an intense sulfur dioxide odor was noted at the Bromo observation post. On 5, 8, and 12 November booming was reported and emissions rose 1.2 km above the crater; diffuse amounts of ash were present in the emissions on 12 November. Seismicity was dominated by tremor, but also included deep and shallow volcanic earthquakes. The Alert Level remained at 2 (on a scale of 1-4). Residents and visitors were warned not to approach the crater within a radius of 1 km. PVMBG reported that during 1 April-25 May white plumes from Tengger Caldera's Bromo cone rose 50 m above the crater. A sulfur dioxide odor was noted at the Bromo observation post. Seismicity was dominated by tremor, but also included volcanic earthquakes. The Alert Level remained at 2 (on a scale of 1-4). Residents and visitors were warned not to approach the crater within a radius of 1 km. PVMBG reported that during January-10 April white plumes from Tengger Caldera's Bromo cone rose 50-100 m above the crater. A sulfur dioxide odor was noted at the Bromo observation post. Seismicity was dominated by tremor, but also included volcanic earthquakes. The Alert Level remained at 2 (on a scale of 1-4). Residents and visitors were warned not to approach the crater within a radius of 1 km. PVMBG reported that during January-10 April white plumes from Tengger Caldera's Bromo cone rose 50-100 m above the crater. A sulfur dioxide odor was noted at the Bromo observation post. Seismicity was dominated by tremor, but also consisted of volcanic earthquakes, shallow volcanic earthquakes, and distant tectonic earthquakes. The Alert Level remained at 2 (on a scale of 1-4). Residents and visitors were warned not to approach the crater within a radius of 1 km. PVMBG reported that during 1-30 April diffuse white plumes from Tengger Caldera's Bromo cone rose 50 m above the crater. Seismicity increased during 15-30 April. From 1 to 4 May seismicity again increased and denser white plumes rose as high as 250 m. On 4 May the Alert Level was raised to 2 (on a scale of 1-4). Residents and visitors were warned not to approach the crater within a radius of 1 km. CVGHM reported that during 1 January-29 March white plumes from Tengger Caldera's Bromo cone rose 50 m above the crater and seismicity declined. On 30 March the Alert Level was lowered to 1 (on a scale of 1-4). CVGHM reported that during 1-10 May white-to-gray ash plumes from Tengger Caldera's Bromo cone rose 400-600 m above the crater and drifted ENE, and incandescence emanated from the crater. During 11-20 May white-to-gray ash plumes rose 200-400 m above the crater and drifted E. Ash plumes continued to rise from the crater during 1-13 June to heights of 100-200 m above the crater and drifted E. Ash continued to fall in areas within 2 km E and NE during May and June. On 13 June the Alert Level was lowered to 2 (on a scale of 1-4). Based on analyses of satellite imagery, the Darwin VAAC reported that during 9-10 May ash plumes from Tengger Caldera's Bromo cone rose to an altitude of 2.7 km (9,000 ft) a.s.l. and drifted 45-75 km NE and E.
Based on analyses of satellite imagery, the Darwin VAAC reported that on 27 April an ash plume from Tengger Caldera's Bromo cone rose to an altitude of 4.3 km (14,000 ft) a.s.l. and drifted about 75 km WSW. On 2 May an ash plume rose to an altitude of 3 km (10,000 ft) a.s.l. and drifted about 75 km N.
CVGHM reported that during 29 March-4 April brownish-gray ash plumes from Tengger Caldera's Bromo cone rose 400-800 m above the crater and drifted N, E, and NE. Ash fell at the Bromo observation post. Incandescence emanated from the crater and incandescent material was periodically ejected above the crater. Roaring of varying intensity was heard. The Alert Level remained at 3 (on a scale of 1-4). Residents and tourists were not permitted within a 2-km radius of the active crater. CVGHM reported that during 22-25 March brownish-gray ash plumes from Tengger Caldera's Bromo cone rose 400-800 m above the crater and drifted SW, NE, and E. Incandescent material was ejected 300 m above the crater, and landed as far as 500 m away during 22-23 March, 300 m away on 24 March, and 250 m away on 25 March. Roaring and booming was also noted. The Alert Level remained at 3 (on a scale of 1-4). Residents and tourists were not permitted within a 2-km-radius of the active crater. Based on analyses of satellite imagery, the Darwin VAAC reported that during 27-28 March ash plumes rose to an altitude of 4.3 km (14,000 ft) a.s.l. and drifted 55 km NE. CVGHM reported that on 10 March ash from Tengger Caldera's Bromo cone fell in areas to the E and NE, including in the Probolinggo district (35 km NE). During 18-20 March gray-to-brown ash plumes rose 400-800 m above the crater and drifted SE. Incandescent material was ejected 300 m above the crater and landed up to 500 m away. Roaring and booming noises were also noted. The Alert Level remained at 3 (on a scale of 1-4). Residents and tourists were not permitted within a 2-km radius of the active crater. Based on analyses of satellite imagery and information from CVGHM, the Darwin VAAC reported that during 18-20 March ash plumes rose to an altitude of 3 km (10,000 ft) a.s.l. and drifted 27-150 km NW, SW, and S.
CVGHM reported that during 17-18 February brownish gray ash plumes from Tengger Caldera's Bromo cone rose 400-800 m above the crater and drifted ENE. Incandescent material was ejected 300 m above the crater and landed as far as 500 m away, and roaring and booming was heard. The Alert Level remained at 3 (on a scale of 1-4). Residents and tourists were not permitted within a 2-km-radius of the active crater. CVGHM reported that during 8-9 February gray-to-brown ash plumes from Tengger Caldera's Bromo cone rose 400-800 m above the crater and drifted E. Incandescent material was ejected 300 m above the crater and landed as far as 500 m away, and roaring and booming was heard. Ash fell at the Bromo observation post on 8 February. The Alert Level remained at 3 (on a scale of 1-4). Residents and tourists were not permitted within a 2-km-radius of the active crater. Based on a pilot observation, the Darwin VAAC reported that on 9 February an eruption produced a plume that rose to an altitude of 7 km (23,000 ft) a.s.l. and drifted W. On 11 February satellite imagery showed an ash plume drifting 37 km SE at an altitude of 3 km (10,000 ft) a.s.l. Ash plumes on 12 February rose to altitudes of 3-7.9 km (10,000-26,000 ft) a.s.l. and drifted 37-167 km NW and SE. CVGHM reported that on 5 February volcanic bombs ejected from Tengger Caldera's Bromo cone were found 1.2-1.4 km from the crater rim. During 5-8 February gray-to-brown ash plumes rose 400-800 m above the crater and drifted ENE. Incandescent material was ejected 200-300 m above the crater and landed as far as 500 m away. Roaring and booming noises were noted. Ash fell at the Bromo observation post, and in nearby villages including Ngadirejo (10 km WNW), Sukapura (14 km NE), and Sumber (18 km E). High-amplitude seismicity and volcanic tremor were detected. Deformation measurements had remained stable since 31 December 2010. The Alert Level remained at 3 (on a scale of 1-4). Residents and tourists were not permitted within a 2-km-radius of the active crater. According to news articles, ash plumes from Tengger Caldera's Bromo cone caused flights between Perth and Bali to be disrupted during 27-28 January. Based on analysis of satellite imagery, the Darwin VAAC reported that on 28 January an ash plume rose to an altitude of 5.5 km (18,000 ft) a.s.l. and drifted 370 km E and SE. On 29 January an ash plume rose to an altitude of 3.7 km (12,000 ft) a.s.l. and drifted 93 km E. The ash cloud from the previous day was again detected and slowly drifted N. Based on analysis of imagery from multiple satellites and information from CVGHM, the VAAC reported that during 29-31 January ash plumes rose to an altitude of 3.7 km (12,000 ft) a.s.l. and drifted 55 km NW. CVGHM reported that during 22-23 January gray-to-brown plumes from Tengger Caldera's Bromo cone rose 400-800 m above the crater and drifted E. Incandescent material was ejected 200 m above the crater and landed as far as 500 m away on 22 January. The Alert Level remained at 3 (on a scale of 1-4). Residents and tourists were not permitted within a 2-km-radius of the active crater. Based on analysis of satellite imagery and information from CVGHM, the Darwin VAAC reported that on 24 January an ash plume rose to an altitude of 3.7 km (12,000 ft) a.s.l. and drifted more than 220 km E. A high concentration of sulfur dioxide in the area was also detected. Based on analyses of satellite imagery, the Darwin VAAC reported that on 30 December an ash plume from Tengger Caldera's Bromo cone rose to an altitude of 4.3 km (14,000 ft) a.s.l. and drifted about 95 km E.
CVGHM reported that during 8-19 December gray-to-brown plumes from Tengger Caldera's Bromo cone rose 400-800 m above the crater and drifted E, NE, and N. On 19 December explosions produced an ash plume that rose 2 km above the crater rim. Ashfall was heavy around the crater and was reported in areas as far away as the Juanda Airport (70 km NNW) in Surabaya. The ash damaged agricultural land, impacted trees and river valleys, and disrupted transportation infrastructure. The Alert Level remained at 3 (on a scale of 1-4). Residents and tourists were not permitted within a 2-km-radius of the active crater. During 20-25 December gray-to-brown plumes rose 800-1,200 m above the crater and drifted N and NE. Ejected material fell back around the crater. 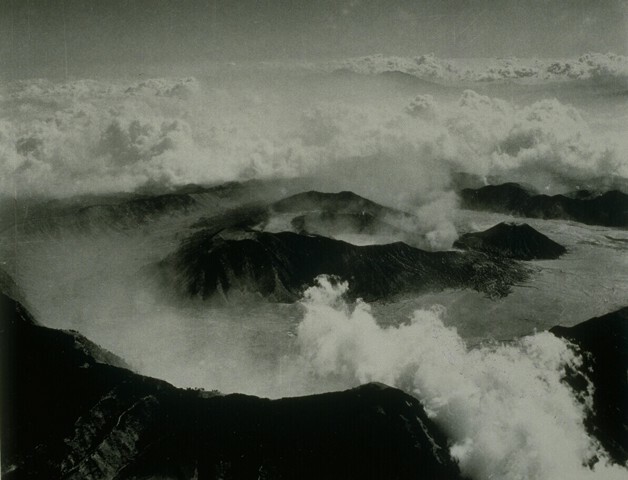 On 25 December, ash and occasionally lapilli fell at the Bromo observation post, about 2 km away. The ashfall was about 20 cm thick. Based on analysis of satellite imagery and information from CVGHM, the Darwin VAAC reported that during 26-27 December an ash plume rose to an altitude of 5.5 km (18,000 ft) a.s.l. and drifted 150 km NE. Based on analyses of satellite imagery, the Darwin VAAC reported that on 20 December a possible ash plume from Tengger Caldera's Bromo cone rose to an altitude of 6.1 km (20,000 ft) a.s.l. and drifted about 95 km S. The area was partially obscured by meteorological cloud cover. On 6 December, CVGHM reported that seismicity from Tengger Caldera's Bromo cone had declined since 30 November, and deformation measurements showed deflation. White-to-gray plumes rose 200-300 m above the crater rim and drifted N. The Alert Level was lowered to 3 (on a scale of 1-4). Residents and tourists were not permitted within a 2-km-radius of the active crater. According to the Darwin VAAC, CVGHM stated that an eruption from Tengger Caldera's Bromo cone had occurred on 26 November. An ash plume detected in satellite imagery rose to an altitude of 13.7 km (45,000 ft) a.s.l. and dissipated. During 27-29 November satellite imagery showed ash plumes drifting 55-165 km at an altitude of 4.3 km (14,000 ft) a.s.l. According to news articles, Malang city's domestic airport, 25 km W, closed on 29 November. Meteorological clouds prevented observations during 29-30 November. The Alert Level remained at 4, the highest level, on a scale of 1-4. CVGHM reported that during November seismicity from Tengger Caldera increased, and volcanic tremor was first detected on 8 November. The heights of gas-and-steam plumes increased during the month, going from 75 m above the crater during 1-7 November to100-250 m above the crater during 8-23 November. The Alert Level was raised to 3 (on a scale of 1-4) on 23 November. Residents and tourists were not permitted within a 3-km-radius of the active crater. Later that night, seismic activity increased and a white-to-gray plume rose 200-300 m above the crater. The Alert Level was raised to 4. The tourist areas surrounding Tengger Caldera was closed. CVGHM reported that the Alert Level for Tengger Caldera was lowered one level to 2 (on a scale of 1-4) on 18 September due to decreased activity. CVGHM reported that the Alert Level for Tengger Caldera was raised one level to 3 (on a scale of 1-4) on 9 September due to an increase in tremor. CVGHM reported that the Alert Level for Tengger Caldera was raised one level to 2 (on a scale of 1-4) on 1 September due to heightened activity and a strong smell of sulfur. A small plume from Tengger Caldera was visible on a satellite image on 14 July. No ash was detected. Due to a decrease in seismic and volcanic activity at Tengger Caldera, DVGHM decreased the Alert Level from 2 to 1 on 16 August. They warned that gas emissions could still be dangerous to visitors and recommended that people do not enter a 1 km radius zone around the volcano. During 15-17 June, low-level activity continued at the Bromo cone of Tengger caldera, with "thin smoke" emissions rising 25-150 m above the summit. Seismicity was dominated by emission earthquakes. EDM (electric distance meter) and GPS (global positioning system) techniques were used to measure deformation; 1-5 and 0.2-6.2 mm of deflation were recorded, respectively. The Alert Level at Tengger caldera remained at 2 (on a scale of 1-4). According to DVGHM, a phreatic eruption at the Bromo cone of Tengger caldera on 8 June at 1526 produced an ash cloud that rose 3 km above the volcano. The eruption lasted ~20 minutes. Ash drifted WNW and rocks and ash were deposited in a ~300 m radius around the volcano's crater. Two tourists were killed and five people were injured. At this time the volcano was at Alert Level 3. After the explosion, only steam and gas were emitted until an explosion on 14 June at 0819 sent ash ~100 m above the volcano. Around 15 June activity generally decreased and the Alert Level was reduced to 2. The public was prohibited from entering within a 1-km-radius around the crater. On 8 June, the Bromo vent of Tengger Caldera erupted, producing a gas-and-ash plume that rose ~3 km above the summit and caused light tephra-fall in the surrounding area. Two people were killed and at least seven injured by ballistics during the eruption. No evacuations have been ordered. Ground-based observers reported to the Darwin VAAC that on 15 January an ash plume rose to ~3 km and irregular eruptions sent ash to ~2.7 km. Extensive cloudiness prohibited the detection of ash on satellite imagery. Explosions and seismic activity during 2-8 January decreased in comparison to the previous week. Minor explosions from Bromo sent ash to ~200 m above the crater rim, with an average of 28 events per day. The volcano remained at Alert Level 2 (on a scale of 1-4). The VSI reported that during 12-18 December explosion and tremor activity at the volcano increased in comparison to the previous week. Minor explosions sent ash to 500-600 m above the crater rim. In addition, continuous tremor and a large number of explosion earthquakes (2,375) were recorded. The volcano remained at Alert Level 2 (ranging from 1 to 4). Tengger caldera has been active for approximately one month; therefore any further Tengger activity will be reported in the "Continuous Activity" section. The VSI reported that during 5-11 December volcanic activity at Bromo cone in the Tengger caldera was marked by ongoing explosions and continuous tremor. Ash clouds produced from the explosions reached 150-900 m above the crater rim. The volcano remained at Alert Level 2 (ranging from 1 to 4). According to reports from the VSI and aviation sources, a minor explosion took place on 8 December that sent ash to ~3 km a.s.l. 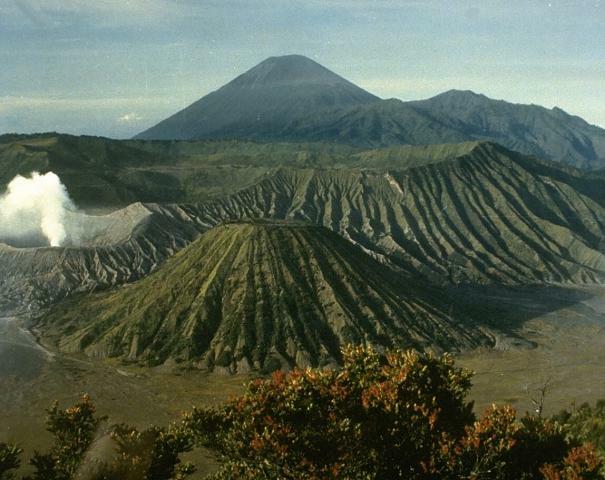 The VSI reported that several small explosions occurred at Bromo cone in the Tengger caldera. The explosions started on 29 November, increasing in intensity until 3 December. During this period ash was ejected up to 100-150 m above the crater rim. At 2130 on 4 December small-scale explosions began, sending ash up to 900 m above the crater rim to the NNE and depositing 1- to 3-cm-thick layers of ash up to 40 km from the volcano. As of 0600 on 5 November only small ash explosions were reported. There was no noted precursory activity; prior to 29 November daily activity at the volcano consisted of small ash plumes that rose up to 50 m above the crater. Seismic data were not available. On 29 November the local government recommended that no one climb the volcano. The Alert Level is at 2 (ranging from 1 to 4). Vapor emission from Bromo cone . . . began 2 June. Several days later, Bromo started to eject incandescent tephra. Glowing bombs 1 m in diameter fell as much as 400 m from the crater rim, while ash-laden vapor rose 600-800 m, accompanied by rumbling. Crowds of tourists approached to within 500 m of the vent during the first two weeks of the eruption.Activity intensified during the 3rd week, with explosions every few seconds to two minutes. By 21 June, some cauliflower-shaped ash clouds rose 900 m. VSI moved tourists away from the immediate vicinity of the eruption to the caldera rim, where a resort hotel is located ~4 km from Bromo. By 24 June, explosive episodes, accompanied by loud detonations, had become more vigorous but less frequent, occurring at 4-5 minute intervals. Although about half of the ejecta fell back into the crater, 1-m-diameter bombs set bushes afire at the foot of Batok cone, 1.5 km away. Information Contacts: A. Sudradjat, L. Pardyanto, and Suparban, VSI. Activity at Bromo cone peaked on 20-21 June when 480 explosions were recorded during a 24-hour period. Ash-laden steam columns rose 1.2 km and bombs fell 1.5 km away, setting vegetation afire. Activity declined in late June and remained weak until mid-July. Frequent explosions resumed 15 July, when about 1,000 were recorded in 24 hours. Explosions remained frequent for more than a week, then declined steadily after 24 July to about one every 48 hours in August. Kompas newspaper reported a minor eruption on 9 September at 0825 and added that tourists were not being allowed to descend to the crater. However, by the end of September, activity had weakened sufficiently to allow tourists into the crater area. Further Reference. Siswoyo, S., 1978, Report on seismic activity at Bromo and Lamongan (1977-78): Geological Survey of Indonesia, Bandung. Information Contacts: A. Sudradjat and L. Pardyanto, VSI; M. Krafft, Cernay; Kompas, Bandung. Normal activity continued . . . in July, with weak white fumes rising 30-60 m above the summit. A total of 449 gas emission earthquakes were recorded. An ash eruption from the active vent on the N side of Bromo crater at 0600 on 3 March produced a dark gray plume that rose 100-200 m above the crater rim. The plume extended >20 km S and SE, causing ashfall (0.5-2 mm thick) that covered ~10 km2 of cultivated land in and around the area of Sukapura (~20 km away). No injuries were reported as a result of this activity. Continuous weak-to-moderate gas emissions lasted through the end of March. COSPEC measurements showed that the SO2 flux was 6 t/d on 8 March. SO2 emission gradually increased to a peak of 22.8 t/d on the 18th before dropping again on 19-20 March (figure 1). Measurements during 27-31 March were again higher, 15-21 t/d. Figure 1. SO2 values measured by COSPEC (dots) and daily number of gas-emission tremor events (solid line) at Bromo (Tengger Caldera), March 1995. Courtesy of VSI. Volcanic tremor events associated with the gas emissions (maximum amplitude 2-7 mm) were recorded continuously beginning on 9 March using PS-2 and Teledyne seismographs installed between 500 and 1,000 m from the active crater. The number of distinct earthquakes (maximum amplitude1,100 to ~400, and gradually decreased through the end of the month (figure 1). Three tectonic earthquakes were detected on 23 February, and one each on 24 and 28 February, and 28 March. On 9 September, dark gray emissions were observed reaching a height of 70 m above the rim of Bromo Crater. Volcanic tremor associated with the emission events (maximum amplitude of 1-3 mm) was recorded continuously beginning on 8 September, using a PS-2 seismograph installed 750 m from the active crater. After 10 September the plume was denser than during the March-May 1995 activity (20:03). An international Notice to Airmen (NOTAM) on the morning of 22 September reported an ash cloud with a top at ~3 km altitude and a SW drift. The height of the ash column gradually increased, peaking at 700 m (~3 km altitude) on 25 September (figure 2); during the emission, maximum tremor amplitude was 49 mm. A thick dark gray ash cloud caused ashfall in nearby villages, reported as far away as ~20 km E (around the area of Sukapura). The eruption vent, with a diameter of ~25 m, was located on the N part of the crater floor, similar to the last eruption. Ash eruptions were continuing at the end of October, but the activity was gradually decreasing. In October the maximum plume height was 200-450 m above the crater rim; the maximum tremor amplitude was 8-40 mm. Figure 2. Height of ash plume and maximum tremor amplitude at Bromo, Tengger Caldera, September-October 1995. Courtesy of VSI. Information Contacts: W. Tjetjep, VSI; BOM Darwin, Australia. A minor explosion issued from Bromo, the youngest cone of the Tengger volcanic complex (figure 3), without warning on 29 November 2000. Activity leading up to the explosion was low, characterized by a white plume that rose ~50 m on a daily basis (figure 4). The seismograph for the area was in disrepair since 18 October, so no seismic data were available. The explosion initiated with dark ash rising 100-150 m. Ash ejection persisted, reached 600-700 m in height above the crater rim, and the plume drifted up to 40 km from Bromo, where ash was deposited in layers 1-3 cm thick. A volcanic ash advisory was issued to aviators due to a plume ~1.2 km above the summit. Pilots were encouraged to navigate around the plume in order to avoid a potentially dangerous encounter. Following the explosion, the Volcanological Survey of Indonesia (VSI) repaired and upgraded the seismograph on the volcano. Figure 3. 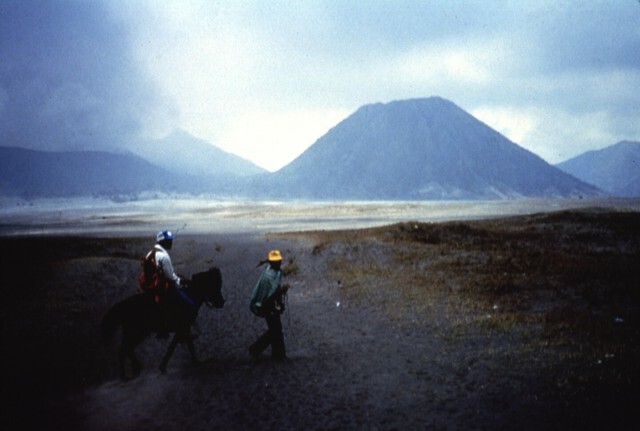 Photograph of the active Bromo cone in the Tengger volcanic complex on 14 July 2000, prior to the recent eruption, from the floor of the Sand Sea Caldera. 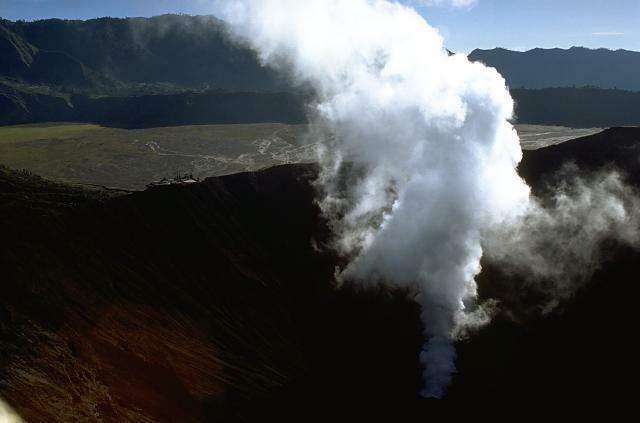 Typical steam emissions can be seen rising from the crater, which is approximately 700 m in diameter at the rim. Courtesy of Ed Venzke, SI. Figure 4. Photograph looking into the steaming Bromo crater of the Tengger volcanic complex on 14 July 2000. The field of view in this photo, taken from the crater rim, is on the order of 150 m. Courtesy of Ed Venzke, SI. Ongoing explosions and continuous tremor accompanied the volcanic activity during 5-11 December. Explosion earthquakes had amplitudes of 4-30 mm, while tremor had amplitudes of 2-6 mm. As of 5 December, the ash ejection was dark gray-brown in color, and smelled strongly of sulfur. Ash plumes rose 150-900 m over the following week, and by 8 December, satellite imagery showed convective clouds in the vicinity, and volcanic ash advisories indicated that the ash cloud had drifted to ~6.8 km above and E of the summit. The hazard status for Bromo cone placed at 2 (on a 1-4 scale). Explosions and tremor activity were ongoing and increased during the week of 12-18 December. Small explosions sent gray-brown to dark gray ash 500-600 m above the crater rim. A sulfur odor continued to be smelled at the observatory on the caldera rim (figure 5). Amplitudes for explosion earthquakes and tremor earthquakes were 5-34 mm and 1-5 mm, respectively. The seismograph recorded an unprecedented 2,375 explosion earthquakes in addition to continuous tremor. Figure 5. Photograph of the Bromo-Tengger Volcano Observatory maintained by VSI. The observatory is located on the oustide of the caldera wall, with a small building for visual observations on the rim (to the right in this view). Courtesy of Ed Venzke, SI. Explosions from Bromo cone and unbroken tremor continued at Tengger Caldera since the previous report (BGVN 25:11). An average of 99 minor explosions daily during 19-25 December 2000 produced gray-brown ash that rose ~300-450 m above the cone's rim. The volcano's seismograph recorded 678 explosion earthquakes and tremor with amplitudes that ranged from 2 to 12 mm. VSI reports resumed during 2-8 January 2001 when activity was purportedly lower. Small explosions sent gray-brown to dark ash 200 m above the crater, and about 29 events occurred per day. The seismograph registered 191 explosion earthquakes and continuous tremor with amplitudes of 2-10 mm. Tengger's hazard status remained at 2 (on a scale of 1-4), and no further VSI reports were issued. The Darwin Volcanic Ash Advisory Centre, however, issued an advisory to aviators on 15 January to warn them of an ash cloud up to an altitude of 3 km drifting toward the NE. The advisory also stated that ground-based observations indicated that irregular eruptions sent ash up to altitudes of 2,750 m, over 400 m above the Bromo cone. When the report was issued, ash was expected to spread E-NE at ~30 km/hour; heavy cloud-cover prevented the acquisition of satellite information concerning the eruption. No further ash advisories were released after 15 January. Reports of the Volcanological Survey of Indonesia (VSI) stated that Mount Bromo produced a phreatic eruption at 1526 on 8 June 2004. The eruption killed two people and injured several others. The Bromo cone is the youngest and most active volcano within the larger Tengger caldera complex. Bromo also resides within an inner caldera (Sandsea caldera). The eruption, which vented at the crater, had a duration of ~20 minutes. Ash rose up to 3 km above the crater rim (figure 6) and was blown to the WNW and detected at the Mount (Gunung) Kelud observatory (~ 75 km away). Lapilli and ash spread out over a radius of ~ 300 m from the crater's center. Figure 6. Bromo's 8 June 2004 eruption as seen 2.2 km away, looking from the N. The photographer, K. Nishi, was in the seismic station and saw evidence of the eruption on the seismic system. He ran to the adjacent crater rim and took a series of shots. This one was taken 9 minutes after the eruption began. The prominent cone on the right is Batok. Courtesy of K. Nishi. Bromo was closed to the public until further notice. Its hazard status was set to the elevated state of 'Alert Level III' (on a scale with a maximum of IV). Search and rescue teams were advised to stay away from the volcano until declaration of safe approach. John Seach reported that many buildings in the nearby towns of Malang and Probolinggo were covered by a light coating of ash 2 hours after the eruption. The neighboring towns of Lumajang and Pasuruan were also affected by the eruption. From 0600 on 9 June to 0600 on 10 June, visual observations disclosed a thin white and slightly red cloud about 25-50 m above the crater, moving W. Seismic records were dominated by tremor with peak-to-peak amplitudes ranging from ~ 1-4 mm. Seismometers also registered 123 emission earthquakes and 15 type-A volcanic earthquakes. During 1800 on 10 June through 0600 on 11 June, the activity of Bromo was dominated by 'smoke emissions' of low-to-medium intensity reaching heights of ~ 25-100 m. Shallow volcanic earthquakes increased, and continuous tremor occurred with a peak-to-peak amplitude of 6.0 mm. Four volcanic earthquakes were detected within about 8-15 minutes, followed by tremor for 18 minutes, after which came 8 volcanic earthquakes. Despite all of the tremor and earthquakes, however, no explosion followed. When the weather was clear, VSI scientists could see white, thick 'smoke' emissions and smelled sulfur. At 0819 on 14 June 2004, there was an ash explosion, accompanied by a plume that rose to 100 m. Pre-explosion spectrometer measurements suggested SO2 fluxes of 200 tons/day. During 13-14 June the seismic record contained emission and tectonic earthquakes, as well as a half hour of continuous tremor with a peak-to-peak amplitude of 6.0 mm. Deformation measurement using electronic distance meters (EDM) and global positioning systems (GPS) implied deflations of about 2-6 mm and 2-15 mm, respectively. By 0630 on 15 June 2004, activity at Bromo had generally decreased, and the Alert Level was reduced to Level II. During that day emissions of white thin smoke rose ~ 25-150 m above the summit and the seismograph recorded 24 emission earthquakes and 1 tectonic earthquake. Deformation measured by EDM and GPS implied respective deflations of 1.0-5.0 mm and 0.2-6.2 mm. Information Contacts: Dali Ahmad, Volcanological Survey of Indonesia (VSI), Directorate of Volcanology and Geological Hazard Mitigation, Jalan Diponegoro No. 57, Bandung 40122, Indonesia (URL: http://www.vsi.esdm.go.id/); Heri Retnowate, Reuters; Derwin Pereira, The Straits Times; John Seach, P.O. Box 842, Southport BC 4215, Queensland, Australia (URL: http://www.volcanolive.com); Darwin Volcanic Ash Advisory Centre (VAAC), Bureau of Meteorology, Northern Territory Regional Office, PO Box 40050, Casuarina, NT 0811, Australia (URL: http://www.bom.gov.au/info/vaac/). Mount Bromo's 8 June 2004 eruption killed two visitors and injured five more (BGVN 29:05). This report mainly adds a few details for the events of 8 June and a video of the eruption plume. It also summarizes reports through 18 July, an interval characterized by mild ash-bearing eruptions (to 100 m high) without a repeat of the robust eruption seen on 8 June. A 3-minute-long video clip of the eruption was shot by Kiyoshi Nishi, a volcano seismologist attached to the Indonesian Directorate of Volcanology and Geological Hazard Mitigation (DVGHM). (DVGHM was reorganized from the former Volcanological Survey of Indonesia). Nishi works for the Japan International Cooperation Agency, a Japanese government organization offering technical and grant assistance. The video begins after a substantial plume had already developed. The plume continued to rise, and the main body of it appeared to ascend with only minor effects of wind, rising in a roughly vertical direction. Identifiable zones of distinct coloration appeared within the plume, in shades of brown, reddish-brown, gray, and white. The white-gray zone, which clearly erupted earlier, moved away from the viewer. Most of the footage shows the brown and red parts of the plume evolving. Subsidiary clouds several times began bulging out of the main plume's margins. The image is valuable because of the need to accurately assess ash plume heights and behavior such as the rise time of the plume top, colored zones, and subsidiary clouds, and the absolute plume heights with respect to time. Movie 1. Video showing the Bromo eruption of 8 June 2004, taken looking from the NE, at a spot in the vicinity of the seismic station and ~ 2.2 km away from the eruptive vent on Bromo. The video (34.7 MB, 3.0-minute long AVI) began at 15 hours, 25 minutes, and 45 seconds; it was shot with a Canon IXY Digital 30 camera in movie mode at 15 frames/second. The same video was also featured on the VSI website. The video begins in 'landscape' format and later shifts to 'portrait' format. Courtesy of Kyoshi Nishi, JICA Silver Expert. Seismicity during 9-14 June was marked by long periods of continuous tremor (maximum peak-to-peak amplitude 6.0 mm), shallow type-A and type-B volcanic earthquakes, intermittent tectonic earthquakes, and a high number of emission earthquakes (see table 1 and BGVN 29:05 for details). Reports around this time noted that distance meters (EDM) and global positioning system (GPS) receivers on Bromo recorded deformation that suggested deflation of the edifice. On 14 June, Bromo ejected another ash plume that rose 100 m above the summit. Table 1. Weekly seismicity at Bromo as measured by the Volcanological Survey of Indonesia (VSI) seismograph. Courtesy of VSI. Nearly two weeks after the 8 June eruption, no similarly substantial event had occurred. On 15 June, DVGHM decreased the Alert Level to II, or 'eruption imminent.' Reports covering 14 June-18 July noted a decrease in seismically detected volcanic emissions (table 2). The number of emission earthquakes decreased by ~ 50% after 20 June and dropped again the week of 12-18 July. Bromo's emissions continued to bear ash, and during 14-27 June a thick ash plume rose 25-100 m above the crater rim. In accord with the decline in seismically detected emissions, observers noted smaller (25-50 m high), thinner plumes during 28 June-18 July. Other seismicity also decreased (table 2). Seismometers recorded 15 type-A earthquakes during 21-27 June, but this was a peak in the trend for 14 June-18 July, which was generally 1-2 per week. Seismometers recorded no type-B earthquakes at Bromo since the week of its phreatic eruption. Tremor, continuous during 7-13 June, dropped to 2-3 events/week. Local tectonic earthquakes were intermittent. Information Contacts: Directorate of Volcanology and Geological Hazard Mitigation (DVGHM), Jalan Diponegoro No. 57, Bandung 40122, Indonesia (URL: http://www.vsi.esdm.go.id/); Darwin Volcanic Ash Advisory Centre (VAAC), Bureau of Meteorology, Northern Territory Regional Office, PO Box 40050, Casuarina, NT 0811, Australia (URL: http://www.bom.gov.au/info/vaac/); Kiyoshi Nishi, Japan International Cooperation Agency (JICA) (URL: https://www.jica.go.jp/). Tengger Caldera contains the frequently erupting Bromo cone, which has repeatedly erupted since about the year 1590. Under normal conditions, Bromo emits a white, sparse-to- dense vapor reaching heights of 75-150 m above the rim, with an acrid smell of sulphur. Our last report noted the eruption on 8 June 2004 (BGVN 29:07); small plumes and seismic signals suggestive of emissions continued through the previous reporting interval, which ended 18 July 2004. According to a December 2010 report from the Center of Volcanology and Geological Hazard Mitigation (CVGHM), during 1994, 1996, 2000, and 2004, Bromo's eruptions ejected glowing lava that fell in the vicinity of the crater. The countryside around Bromo is not densely populated, since it lies within the Bromo-Tengger-Semeru National Park, but the volcano is a popular tourist destination. On 16 August 2004, due to a decrease in seismic and volcanic activity at Tengger, the Center of Volcanology and Geological Hazard Mitigation (CVGHM) decreased the Alert Level from 2 to 1 (on a scale of 1-4). The next report we received on Tengger was from the Darwin Volcanic Ash Advisory Center (VAAC), which noted that a small plume was visible on a satellite image on 14 July 2006. No ash was detected. On 1 September 2006, CVGHM raised the Alert Level for Tengger to 2 due to heightened activity and a strong smell of sulfur. On 9 September, the Alert Level was raised to 3 due to an increase in tremor, but lowered to 2 on 18 September due to decreased activity. According to CVGHM, during 18-25 June 2007, diffuse but ash-free plumes rose to an altitude of 2.4 km. Nineteen tectonic earthquakes, one local-tectonic earthquake, and continuous tremor with a maximum amplitude of 0.5-1 mm was noted between 11 June-1 July 2007. No further reports were received until November 2010, when seismicity increased. Volcanic tremor was first detected on 8 November. According to volcanologist and photographer Richard Roscoe (Photovolcanica), tremor became almost continuous by 22 November along with degassing. CVGHM noted that the heights of gas-and-steam plumes increased during the month, from 75 m above the crater during 1-7 November to 100-250 m above the crater during 8-23 November. The Alert Level was raised to 3 on 23 November. Residents and tourists were not permitted within a 3-km-radius of the active crater. Later that night, seismic activity increased, and a white-to-gray plume rose 200-300 m above the crater. The Alert Level was raised to 4. The tourist areas surrounding the volcano was closed. 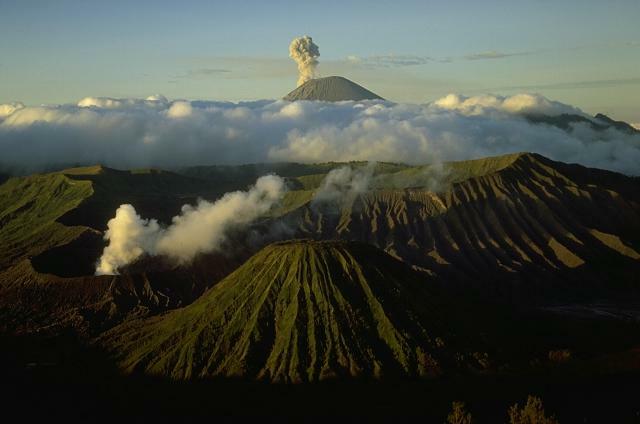 Bromo erupted on 26 November 2010, triggering the first significant ash emission, according to Richard Roscoe. He noted that the output of ash was high at several stages during the eruption, which led to significant damage to vegetation in downwind areas. According to the Darwin VAAC, on that day the cloud tops reached 13.7 km and volcanic ash was thought to be "entrained into deep convective clouds." During 27-29 November satellite imagery showed ash plumes drifting 55-165 km at an altitude of 4.3 km. According to a news article (Agence France-Presse), Malang city's domestic airport, 25 km W, closed on 29 November due to ash. Cloud cover prevented observations during 29-30 November. On 6 December, CVGHM reported that seismicity at Bromo had declined since 30 November, and deformation measurements showed deflation. White-to-gray plumes rose 200-300 m above the crater rim and drifted N. The Alert Level was lowered to 3. Residents and tourists were not permitted within a 2-km-radius of the active crater. CVGHM reported that during 8-19 December gray-to-brown plumes from Bromo rose 400-800 m above the crater and drifted E, NE, and N. Tremors continued with a maximum amplitude of 17-32 mm. On 19 December, explosions produced an ash plume that rose 2 km above the crater rim. Ashfall was heavy around the crater and was reported in areas as far away as the Juanda Airport (70 km NNW) in Surabaya. The ash damaged agricultural land, affected trees and river valleys, and disrupted the transportation infrastructure. According to the Darwin VAAC, a possible ash plume from Bromo cone rose to an altitude of 6.1 km on 20 December and drifted about 95 km S.
CVGHM noted that between 19-23 December, tremor continued with a maximum amplitude of 5-30 mm, and 17 eruptive earthquakes occurred with a maximum amplitude of 40 mm and a duration of about 17 to167 seconds each. Tiltmeter deformation measurements showed slight inflation (5 microradians) from 25 November to 14 December; from 15 December through at least February 2011, both its radial and tangential components remained relatively stable. Similarly, measurements of deformation using EDM from 25 November to 20 December 2010 showed relative stability. According to CVGHM, during 20-25 December, gray-to-brown plumes rose 800-1,200 m above the crater and drifted N and NE. Ejected material fell back around the crater. On 25 December, ash and occasional lapilli fell at the Bromo observation post, about 2 km away. The ashfall was about 20 cm thick. A news report (Reuters) indicated that some flights were cancelled on 20 December between Australia and Bali due to ash, but the emitting volcano was not identified. CVGHM noted that the ash had damaged agricultural land and trees on the slopes and in river valleys, and had paralyzed transportation in the Cemoro Lawang area. Heavy rain during this time raised concern for potential lahars and landslides. During 24-25 December, tremor continued with a maximum amplitude of 15-40 mm. Two eruptive earthquakes were noted, with a maximum amplitude of 40 mm and a duration of 25 seconds. The Darwin VAAC reported that during 26-27 December an ash plume rose to an altitude of 5.5 km and drifted 150 km NE. Another ash plume rose to an altitude of 4.3 km on 30 December and drifted about 95 km to the E.
CVGHM reported that during 22-23 January 2011, continuous tremor occurred (maximum amplitude 15-38 mm) and gray-to-brown plumes from Bromo rose 400-800 m above the crater and drifted E. Incandescent material was ejected 200 m above the crater and landed as far as 500 m away. The Darwin VAAC reported that on 24 January an ash plume rose to an altitude of 3.7 km and drifted more than 220 km E. The VAAC report noted that CVGHM had confirmed the eruption and observers had sensed elevated sulfur-dioxide gas in the area. According to news reports (The West Australian, Sydney Morning Herald), ash plumes from Bromo disrupted flights between Australia (Perth, Sydney, Darwin) and Bali during 27-28 January. An ash plume on 28 January rose to an altitude of 5.5 km and drifted 370 km E and SE. Another ash plume on 29 January rose to an altitude of 3.7 km and drifted 93 km E. During 29-31 January, ash plumes rose to an altitude of 3.7 km and drifted 55 km NW. CVGHM reported that on 5 February volcanic bombs ejected from Bromo were found 1.2-1.4 km from the crater rim. During 5-9 February and 17-18 February, gray-to-brown ash plumes rose 400-800 m above the crater and drifted E and ENE, causing ashfall in nearby villages. Incandescent material was ejected 200-300 m above the crater and landed as far as 500 m away. Roaring and booming noises were noted. Ash fell at the Bromo observation post, and in nearby villages, including Ngadirejo (10 km WNW), Sukapura (14 km NE), and Sumber (18 km E). High-amplitude seismicity and volcanic tremor were detected. During 5-9 February, the maximum amplitude of the tremor was 17-40 mm. Based on pilot observation, the Darwin VAAC reported that on 9 February an eruption produced a plume that rose to an altitude of 7 km and drifted W. On 11 February satellite imagery showed an ash plume drifting 37 km SE at an altitude of 3 km. Additional ash plumes on 12 February rose to altitudes of 3-7.9 km and drifted 37-167 km NW and SE. On 10 March 2011, according to CVGHM, ash fell in areas to the E and NE, including in the Probolinggo district (35 km NE). During 18-20 March, 22-25 March, and 29 March-4 April 2011, gray-to-brown ash plumes rose 400-800 m above the crater and drifted in multiple directions. Incandescent material was ejected 300 m above the crater and landed up to 500 m away. Roaring and booming noises were also noted. According to the Darwin VAAC, during 18-20 March, ash plumes rose to an altitude of 3 km and drifted 27-150 km NW, SW, and S. Ash plumes on 27-28 March rose to an altitude of 4.3 km and drifted 55 km NE. According to Richard Roscoe, activity in mid-March 2011 could be distinguished into largely Strombolian phases accompanied by little ash and variable levels of degassing, and phases during which significant amounts of ash were released. (Roscoe, 2011). Strombolian phases were sometimes accompanied by powerful shockwaves, often after short periods (10-30 seconds) of complete calm, presumably signifying blockage of the vent causing pressure buildup. (Roscoe, 2011). Photo gallery. Several sets of photos from mid-March 2011 documented substantial ash plumes and multiple incandescent bombs escaping Bromo's crater, in many cases Strombolian eruptions with bombs falling on the upper flanks. Some of the 30-second night exposures had streaks documenting more than 10 bombs. Richard Roscoe presented an album that also contained considerable text, including references (Roscoe, 2011). A second set of photos was taken in March 2011 by Indonesian travel consultant Aris Yanto (Yanto, 2011). It shows the eruption in a wide variety of conditions from locations near and at distance from the vent (showing many plumes in profile). References. Roscoe, R, 2011, Bromo Volcano (Tengger Caldera), Photovolcanoica, 86 photographs (URL: http://www.photovolcanica.com/VolcanoInfo/Bromo/Bromo.html). Yanto, A, 2011, Mt. Bromo on 17-20 [March], 2011; Aris Yanto's gallery, Picasa Web Albums, 40 photos, 640 x 361 pixels (URL: https://picasaweb.google.com/ndesoadventure/MTBromoOn17202011). Information Contacts: Center of Volcanology and Geological Hazard Mitigation (CVGHM), Jalan Diponegoro 57, Bandung 40122, Indonesia (URL: http://vsi.esdm.go.id/); Darwin Volcanic Ash Advisory Centre (VAAC), Bureau of Meteorology, Northern Territory Regional Office, PO Box 40050, Casuarina, NT 0811, Australia (URL: http://www.bom.gov.au/info/vaac/); Agence France-Presse (URL: http://www.afp.com/afpcom/en/); The Sydney Morning Herald (URL: http://www.smh.com.au/); The West Australian (URL: http://au.news.yahoo.com/thewest/); Reuters (URL: http://www.reuters.com/); Richard Roscoe, Photovolcanica (URL: http://www.photovolcanica.com/). This report discusses Bromo's behavior during April 2011 to early October 2012, an interval of ongoing seismicity. The Bromo cone, located within the Tengger caldera, has erupted repeatedly since about the year 1590. Under normal conditions in recent decades, Bromo emits a white, sulfurous, diffuse-to-dense vapor plume reaching heights of about 75-150 m above the rim. Observations of Bromo are carried out both visually and with instruments. Visual observation is aided by a closed circuit TV (CCTV) camera. A seismic station incorporates both analog and digital recordings. Observations of deformation are carried out with one tiltmeter station. Our last report on Bromo (BGVN 36:03) presented activity through March 2011, which could be differentiated into largely Strombolian phases accompanied by little ash and variable levels of degassing, and phases during which significant amounts of ash were released (Roscoe, 2011). Strombolian phases were sometimes accompanied by powerful shockwaves, often after short periods (10-30 seconds) of complete calm (Roscoe, 2011). During most of April 2011, the Bromo cone was relatively quiet until 27 April when the Darwin Volcanic Ash Advisory Centre (VAAC) reported an ash plume rising to an altitude of ~4.3 km and drifting ~75 km WSW. From 1-10 May the Center of Volcanology and Geological Hazard Mitigation (CVGHM) reported white-to-gray ash plumes rising ~400-600 m above the crater and drifting ENE, and incandescence emanating from the crater. On 2 May the Darwin VAAC reported that a significant ash plume rose to an altitude of ~3 km and drifted ~75 km N. Based on analyses of satellite imagery, the Darwin VAAC again reported that during 9-10 May ash plumes from Bromo rose to an altitude of ~2.7 km and drifted 45-75 km NE and E. During 11-20 May white-to-gray ash plumes rose ~200-400 m above the crater and drifted E.
Ash plumes continued to rise from the crater during 1-13 June, reaching heights of ~100-200 m above the crater and drifting E. Ash fell in areas within 2 km to the E and NE during May and June. On 13 June the Alert Level was lowered to 2 (on a scale of 1-4). During the rest of 2011 Bromo was quiet. From 1 January-29 March 2012 CVGHM reported that white plumes from the Bromo cone rose ~50 m above the crater; background seismicity declined. On 30 March the Alert Level was lowered to 1. This modest activity continued until 1 September when diffuse white plumes from the Bromo cone rose 50 m above the crater. During 1-28 September 2012, the following seismic events were recorded: 6 deep volcanic, 1 shallow volcanic, and 57 long-distance tectonic earthquakes. Tremor continued with a maximum amplitude of 0.5 mm. From 29 September to 1 October 2012 continuous tremor was recorded, reaching a maximum amplitude of 11 mm. The dominant reading was 0.5 mm. Seismicity increased on 1 October, and during 1-3 October a sulfur odor was occasionally noted at the Bromo Observation Post. On 2 October 2012, continuous tremor reached a maximum amplitude of 11 mm with a dominant reading of 7 mm. On 3 October the tremor rose continuously, reaching 22 mm. Accordingly, on 3 October the Alert Level was raised to 2. Reference. Roscoe, R., 2011, Bromo Volcano (Tengger Caldera), Photovolcanica, 86 photographs, Updated 21 August 2011, Accessed 21 November 2012 (URL: http://www.photovolcanica.com/VolcanoInfo/Bromo/Bromo.html). Information Contacts: Center of Volcanology and Geological Hazard Mitigation (CVGHM), Jalan Diponegoro 57, Bandung 40122, Indonesia (URL: http://vsi.esdm.go.id/); Darwin Volcanic Ash Advisory Centre (VAAC), Bureau of Meteorology, Northern Territory Regional Office, PO Box 40050, Casuarina, NT 0811, Australia (URL: http://www.bom.gov.au/info/vaac/). The 16-km-wide Tengger caldera is located at the northern end of a volcanic massif extending from Semeru volcano. The massive volcanic complex dates back to about 820,000 years ago and consists of five overlapping stratovolcanoes, each truncated by a caldera. Lava domes, pyroclastic cones, and a maar occupy the flanks of the massif. The Ngadisari caldera at the NE end of the complex formed about 150,000 years ago and is now drained through the Sapikerep valley. The most recent of the calderas is the 9 x 10 km wide Sandsea caldera at the SW end of the complex, which formed incrementally during the late Pleistocene and early Holocene. An overlapping cluster of post-caldera cones was constructed on the floor of the Sandsea caldera within the past several thousand years. The youngest of these is Bromo, one of Java's most active and most frequently visited volcanoes. Carn S A, 1999. Application of synthetic aperture radar (SAR) imagery to volcano mapping in the humid tropics: a case study in East Java, Indonesia. Bull Volcanol, 61: 92-105. Carn S A, Pyle D M, 2001. Petrology and geochemistry of the Lamongan volcanic field, east Java, Indonesia: primitive Sunda arc magmas in a extensional tectonic setting?. J Petr, 42: 1643-1683. Hadisantono R D, 1990. The Sukapura, and other ignimbrites, in the Sapikerep-Sukapura valley and their relationship to caldera formation, of Bromo Tengger volcanic complex, East Java, Indonesia. Unpublished Master's thesis, Victoria Univ Wellington. Mulyadi E, 1992. Le complexe de Bromo-Tengger (Est Java, Indonesie): estude structurale et volcanologique. Unpublished PhD thesis, Univ Blaise Pascal. Mulyadi E, Zaennudin, Wahyudin D, Dana I N, 2000. Guide book for field excursion at Lamongan, Semeru, Bromo-Tengger volcanic complex, East Java, 13-17 July 2000. IAVCEI General Assembly, Bali 2000 Excursion Guide, 28 p.
van Bemmelen R W, 1937. The volcano-tectonic structure of the residency of Malang (eastern Java). Ing Ned-Indie, 4: 159-172. Wahyudin D, 1990. Volcanology and petrology of Mt. Semeru volcanic complex, East Java - Indonesia. Unpublished Bachelor's thesis, Victoria University of Wellington, 131 p.
There is no Deformation History data available for Tengger Caldera. Bromo volcano steams at the left in this view from the rim of Ngadisari caldera, the older of two Tengger calderas. The pyroclastic cones of Bromo and the conical, parasol-ribbed Batok in the lower center, are two of several post-caldera cones of Tengger caldera. The towering conical peak of Semeru, Java's highest volcano, appears in the background at the end of a long N-S trending volcanic massif. Semeru, Java's highest volcano, is seen in eruption on the skyline at the southern end of a volcanic chain extending from Tengger caldera on the north. 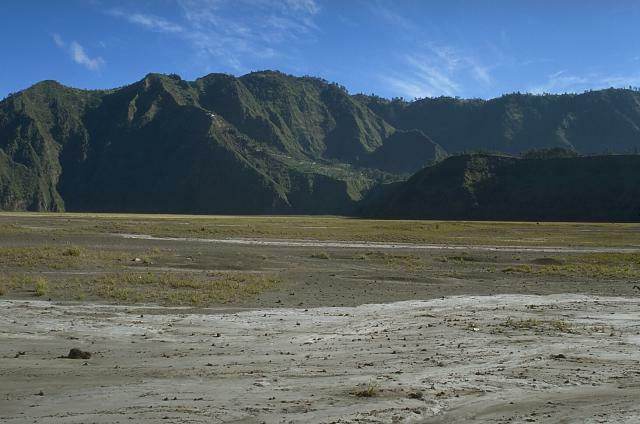 The ribbed post-caldera cone of Batok is the center foreground and the steaming cone of Bromo in the left foreground. This sunrise view from the rim of Tengger caldera is a popular tourist destination. Bromo, a historically active cone within the Tengger caldera, is one of Indonesia's most visited volcanoes. Legends portray the formation of Bromo, whose name means "fire." 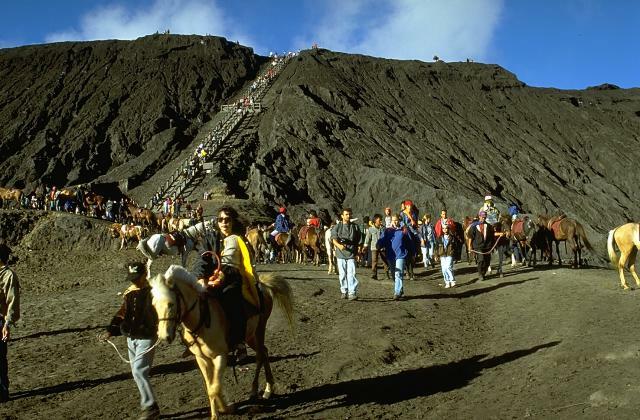 Visitors climb a broad stairway to the crater rim after reaching the foot of the cone from the rim of Tengger caldera by foot or horseback across the flat-bottomed Sandsea caldera. Two caldera walls can be seen in this view across the flat Sandsea caldera floor. The low ridge in the shadow in the foreground is the northern wall of the younger Tengger (Sandsea) caldera, which merges at the upper left with the background ridge, the northern wall of the 16-km-wide Ngadisari caldera. Steam rises from the crater of Bromo, one of several post-caldera cones constructed within the Tengger caldera. The low rim of the younger Tengger (Sandsea) caldera rises immediately above the flat caldera floor; the background ridge forms the northern wall of the 16-km-wide Ngadisari caldera. Minor explosive eruptions are common at Bromo, one of Java's most active volcanoes. Tengger caldera is about 16 km wide and 0.5 km deep. Seven eruptive centers appear on the floor of the flat-bottomed Sandsea caldera, the youngest at the compound Tengger caldera. The cluster of post-caldera cones was constructed along E-W and NNE-SSW fracture zones, the latter localizing Bromo, the active steaming volcano in this view from the south. The Bromo crater, with a N-S diameter of 800 m and an E-W one of 600 m, contains a terrace indicating the migration of its eruptive center to the north. Photo by Indonesia Department of Information (published in Green and Short, 1971, "Volcanic Landforms"). Batok (right), a prominent pyroclastic cone on the floor of Tengger caldera, is one of the youngest of the post-caldera cones. Charcoal from a scoria layer on the eastern flank of Batok was radiocarbon dated at about 360 years ago. The only younger pyroclastic cone of Tengger caldera is the historically active Bromo, which is steaming to the left of Batok. Large Eruptions of Tengger Caldera Information about large Quaternary eruptions (VEI >= 4) is cataloged in the Large Magnitude Explosive Volcanic Eruptions (LaMEVE) database of the Volcano Global Risk Identification and Analysis Project (VOGRIPA).